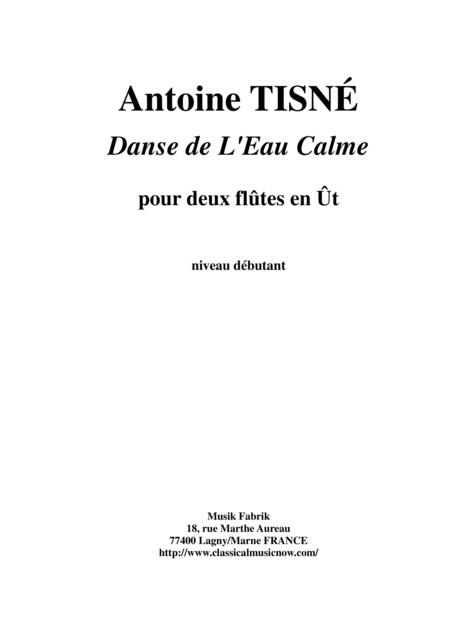 Composed by Antoine Tisne. 20th Century, Contemporary Classical, Repertoire, Fairy Tales, Recital. Score. 3 pages. Published by Musik Fabrik (S0.72781). The suite of 14 pieces is intended to be used for students with 1-5 years of piano. The titles are all inspired by poetic images and the music is very drescriptive, but uses atonal and polytonal vocabulary. A great introduction to contemporary music for students!1. Par les sentiers du Jardin (From the garden paths) 2. En écoutant le ruisseau (Upom Listening to the Stream) 3. Là-bas, un petit train passe (Over there, a little train is passing) 4. Ce qui dit la fée des bois (That which the woodfairy says) 5. Dans la clairière bleue (In the Blue clearingFrom the garden paths) 6. Les diamants de l'étang (The Diamonds in the Pond) 7. Dans la pénombre du chateau (In the shadow of the castle) 8. 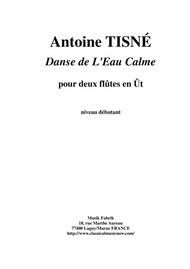 Ballet des Cigales et des lucioles (Ballet of the crickets and the fireflies) 9. Le marchand de sable d'or passe (The Sandman is going by) 10. Sous le grand chêne endormi (Underneath the big oak tree asleep) 11. Au clocher lointain, l'heure sonne (In the far steeple, the clock strikes) 12. La Montagne enchantée (The enchanted mountain) 13. Le Lutin chez la sorcière (The dwarf visits the witch) 14. Sous le regard, un cœur veille (Looking on, a heart watches) .